The Native American Rights Fund (NARF) has just issued the 5thCircuit Court of Appeals briefing schedule. The United States’ and tribal defendants’ Opening Brief and all supporting (amicus) briefs are due on January 14, 2019. NARF’s deadline for signing on to the amicus brief will be end-of-day Thursday, January 10, 2019. NARF expects to circulate a draft on Wednesday, January 2, 2019. Any tribal nation, inter-tribal organization, and ICWA organization interested in signing on to the amicus brief can contact Dan Lewerenz at lewerenz@narf.org and Erin Dougherty Lynch at dougherty@narf.org at NARF. You can also contact Dorothy Alther at dalther@calindian.org or at 760-746-8941, or any CILS office for more information. There is no need to submit a Resolution or formal letter authorizing the tribes’ or organizations’ consent to be listed on the amicus. You can simply email Dan or Erin at NARF or any CILS office. 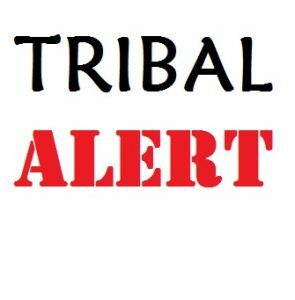 As an Addendum to the December 5, 2018, Tribal Alert, I have received several calls and emails from tribes with questions on what was needed to authorize a tribe’s consent to the amicus brief. (2) The full and correct spelling of the Tribe’s name, as it should appear on the brief. We hope this answers some of your questions; if not, please contact the NARF attorneys directly or Dorothy Alther at dalther@calindian.org or 760-746-8941, or any CILS office for more information. The National Congress of American Indians (NCAI), the Association on American Indian Affairs (AAIA), the National Indian Child Welfare Association (NICWA) and the Native American Rights Fund (NARF) need your help as signatories to an amicus brief in support of the Indian Child Welfare Act (ICWA) that will filed with the U.S. Fifth Circuit Court of Appeals. On October 4, 2018, the federal court in the Northern District of Texas determined that the ICWA was unconstitutional and that the Bureau of Indian Affairs’ ICWA Regulations implementing the ICWA were invalid. (Brackeen et al. v. Zinke. Oct. 4, 2018, Case 4:17-CV-00868, (N. D. TX)) The defendants in the case are the Department of Interior and four intervening tribes: the Cherokee Nation, Morongo Band of Mission Indians, Oneida Nation, and Quinault Indian Nation. On December 3, 2018, the 5th Circuit Court issued a “stay” of the district court’s decision pending an appeal of the case on its merits. A “stay” prevents the district court’s ruling from taking effect in Texas, Louisiana and Indiana, the named plaintiff states in the case. NCAI, NARF, AAIA, and NICWA are preparing an amicus brief and are seeking support from all tribal nations, inter-tribal organizations, and ICWA organizations by giving their approval to be a signatory on the brief. An “amicus” brief, also known as a “friend of the court brief,” is filed by non-parties to educate the court on their concerns and the serious impacts the court’s decision will have on them and their interests. The tribal defendants filed their Notice of Appeal on November 25th, and the U.S. filed its Notice on December 3rd. The court has set a briefing schedule for the tribal defendants with their Opening Brief due December 31st which would make the amicus brief due January 7th. However, this schedule will most likely be modified since the filing of U.S.’s Notice of Appeal. The drafters of the amicus brief are hoping to have a draft ready for circulation by December 17th (tentatively). NARF will share with interested tribal nations and organizations a draft brief when it is ready and will keep them informed of all upcoming deadlines. Any tribal nation, inter-tribal organization, and ICWA organization interested in signing on to the amicus brief can contact Dan Lewerenz at lewerenz@narf.org or Erin Dougherty Lynch at dougherty@narf.org at NARF. You can also contact Dorothy Alther at dalther@calindian.org or 760-746-8941, or any CILS office for more information.